While partaking in a debate on remakes for a leading news channel, the host posed a query to me: Do you think that a cult movie should be remade? Why restructure or revise the sacredness of a film that's so perfect? I instantly put forth my perspective and responded that if a brand is remade with a contemporary approach and in-the-running stars and if there is an enthusiastic audience to watch the cinema, I don't see any harm in recreating a famed work of genius. All I expect is the makers don't make a mishmash of the cult movie. It should come across more as an acknowledgment to the masterwork. But there's a flipside to what I mentioned above! The actors and film-makers involved in remaking a classic cannot escape minute and meticulous evaluation and comparisons because cineastes are going to walk in with predetermined conceptions. Remakes come with a certain baggage. Matching the standards and aesthetics of the original is the prime criteria. It's Hrithik Roshan's turn to wear the mask of the iconic character portrayed by Amitabh Bachchan two decades ago. Though not a money spinner then, AGNEEPATH did fetch Bachchan Sr. the National Award in the Best Actor category and is considered amongst the best films made that year . Twenty two years later, Vijay Dinanath Chauhan is brought alive by first-time director Karan Malhotra in Karan Johar's homage to the original film, which was produced by his father Yash Johar and directed by Mukul S. Anand. It's a colossal challenge for any actor/maker to pay tribute to a cult film, which continues to linger in our memory even after two decades. The premise is the same. Well, almost. So is the vital dialogue from the film which comes at a very crucial juncture in the present-day adaptation of AGNEEPATH: "Naam Vijay Chauhan, baap ka naam Dinanath Chauhan, gaon Mandwa." AGNEEPATH is an uncomplicated story of revenge, is hard-hitting yet entertaining, dwells on strong emotions and aggressive and forceful action, yet is dissimilar from the original. Debutant director Karan Malhotra sponges from the original, but bestows the new version with a fresh texture [screenplay adapted by Ila Bedi Datta and Karan Malhotra]. 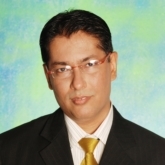 Krishnan Iyer M.A. [portrayed by Mithun Chakraborty in the original] is done away with, while Malhotra introduces another negative character called Rauf Lala [Rishi Kapoor] to make the proceedings more volatile and explosive. One can envisage the kind of burden the director has shouldered and despite the fact that viewers would be scrutinizing the goings-on with a magnifying glass and watching every frame minutely, you cannot refute the fact that Karan Malhotra has done a remarkable job as a storyteller. In a small Indian village Mandwa, Vijay Dinanath Chauhan [Hrithik Roshan] is taught by his principled father [Chetan Pandit] about the path of fire -- Agneepath. His life is completely shattered when the evil drug dealer Kancha [Sanjay Dutt] hangs his father to death. Vijay leaves for Mumbai with his pregnant mother [Zarina Wahab] and has only one mission in life -- to come back to Mandwa and bring back the glory of his father's name. In Mumbai, the 12-yr-old Vijay is taken under the wings of the city gang lord Rauf Lala [Rishi Kapoor]. From then on it is a journey of revenge where he makes and breaks many relationships, only to get closer to his aim. Vijay finds support only in his best friend Kaali [Priyanka Chopra], who stands by him at every moment in his life. Fifteen years later, his hatred for Kancha takes him back to Mandwa where life comes full circle. Most Hindi films initiate with a bang, but run out of gas by the time they reach the finale, often getting deflated in between as well, but AGNEEPATH is vigorous from the very commencement to the absolute conclusion. The conflict at the very initiation and also towards the closing stages, the tension between Vijay and Kancha and also between Vijay and his mother, the game of one-upmanship played by Vijay to grab powerâ€¦ AGNEEPATH is one exhilarating ride. A vendetta story needs to be garnished with several terrific dramatic moments and Malhotra does just that. His handling of the subject deserves brownie points. The only 'hiccup', if one may say so, is the romantic track towards the first hour, which is lackluster. The assessment of the movie would appear fragmentary if one would disregard the colossal contribution by action director Abbas Ali Moghul. Raw and gritty are two expressions that best illustrate the action scenes in AGNEEPATH. Kancha is larger than life and stronger than the protagonist, so when good eventually triumphs, the heroism ought to come to the forefront and it does so forcefully, convincingly and copiously. The action scenes are sure to draw whistles and claps, especially the one in the finale. Harmonious compositions have constantly been the hallmark of Karan Johar's movies and the music of AGNEEPATH is no exception. The songs, composed by Ajay-Atul, may not be chartbusters [except 'Chikni Chameli'], but the compositions are in sync with the texture of the film. The pick of the lot is the devotional number as well as 'Chikni Chameli', which is already a rage. The background score, also by Ajay-Atul, is electrifying and exhilarating. Cinematography [Kiran Deohans; additional cinematography: Ravi K. Chandran] is commendable. The outdoor portions specially deserve special mention. The commanding dialogue [Piyush Mishra] is yet another champion of AGNEEPATH. The striking sequences in the movie get elevated to a different level thanks to the superior channel of communication. This is one of those films where numerous novel lines hang back in your memory much after the movie has wrapped up. The pertinent query that comes to one's mind is whether the new avatar of Vijay Dinanath Chauhan has enough inferno in him to match up to the magnificent performance of Sr. Bachchan. The answer is in the affirmative. Hrithik comes up with an astoundingly arresting performance. He does not emulate the veteran's portrayal of Vijay Dinanath Chauhan. Instead, he approaches the character in his own distinctive mode. AGNEEPATH only reiterates the fact that Hrithik has grown into a far superior and complete performer. In fact, the performance has the potential to keep the whistle blowers busy thanks to his magnificent interpretation of an iconic character. Despicable and intimidating characters are non-existent in Hindi movies, but more recently Prakash Raj [in SINGHAM] and now Sanjay Dutt [in AGNEEPATH] are ready to revive the era of baddies. Sanju is electrifying as the hardhearted, brutal Kancha and his sinful getup only augments the impact of his performance. The menacing getup adds abundantly to the evil/stony character and his performance in the penultimate 30 minutes, when Kancha confronts Vijay, is the hallmark of the movie. This performance would prove to be yet another turning point in his career, after NAAM, KHAL-NAYAK, VAASTAV and the MUNNABHAI series. Everyone is familiar with the fact that AGNEEPATH is fundamentally a tale of vengeance between Vijay Dinanath Chauhan and Kancha. So, logically, there's not much for the leading lady [Priyanka Chopra] to do in the narrative. Yet, Priyanka's character Kaali is significant to the story and expectedly, she sinks her teeth into the character. Contrary to what a lot of people believe, she's not an ornamental item in the movie. Though Rishi Kapoor has attempted a negative role in KAL KISSNE DEKHA, it still wasn't as menacing as AGNEEPATH. Trust me, his performance is going to shock a lot of people, especially those who are familiar with his wide-ranging body of work. He's exceptional as Rauf Lala, enacting the bad guy with fervor and passion. The film boasts of a number of characters, but the one that stands out is Arish Bhiwandiwala, who portrays the young Vijay Dinanath Chauhan with flourish. Zarina Wahab is natural, Om Puri is wonderful, Kanika Tiwari is decent, Chetan Pandit is adequate, Rajesh Tandon is perfect and Deven Bhojani, first-rate. Katrina Kaif sizzles in the item number 'Chikni Chameli'. She looks sensuous and catches your attention with super-energetic dance movements. On the whole, AGNEEPATH is a fitting tribute to the masterwork. The movie has all the potential to scale dizzy heights of victory and catapult Hrithik Roshan as the newest member of the 100 cr Club, besides providing the Hindi film industry with the first giant Blockbuster of 2012. A definite winner!